Don't miss out on the Crazy 8 Columbus Day Sale! Get 40% Off Regular Priced Items + an Extra 20% Off Markdowns! This is a great time to grab items for fall! I am loving this Eyelet Peplum Jacket only $23.93 (Retail $39.88)! 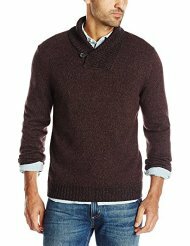 Amazon is offering Women's & Men's Sweaters at 50% Or More Off! You'll find names like Calvin Klein, Perry Ellis, Sofie, Kenneth Cole New York & More! Today ONLY grab this Women's New Balance 540 Running Shoe for $32.99 (Retail $64.95). Built for optimal cushioning &amp; fuller fit that you can count on. New Coupons - Huggies, Giovanni Rana Refrigerated Pasta + More! ♥ 40 award-winning Kindle Books from authors, including Louise Penny, Octavia Butler, and Dennis Lehane, are $3.99 or less each today only. I've been trying to expand outside of James Patterson - does anyone recommend any of this? Anyone read The Last Policeman: A Novel (Last Policeman Trilogy)? or A Fire Upon The Deap? Head over and browse around for your favorites and PLEASE let me know if you have recommendations. Today ONLY - this HIGHLY RATED Bissell DeepClean Professional Pet Carpet Cleaner is $159 (Retail $299.99). 614 Reviews, Rated 4.4 out of 5. Pretty HOT! 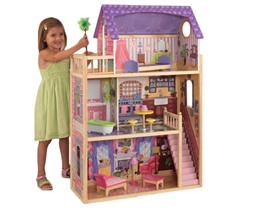 Head over and check out this KidKraft Kayla Dollhouse w/ 10 Pieces of Furniture for $79.99 (Retail $199.99). The KidKraft Kayla Dollhouse is perfect for young ones who want their fashion dolls to live in style. 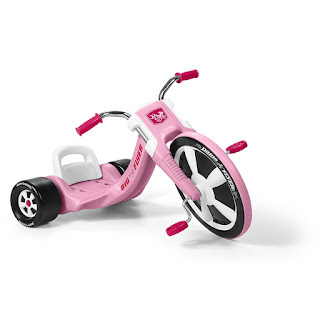 Parents will be happy knowing their kids are playing with a reliable product that is built to last.